Want to start Reining but not sure how? SRRA is planning a series of clinics for beginning reiners. 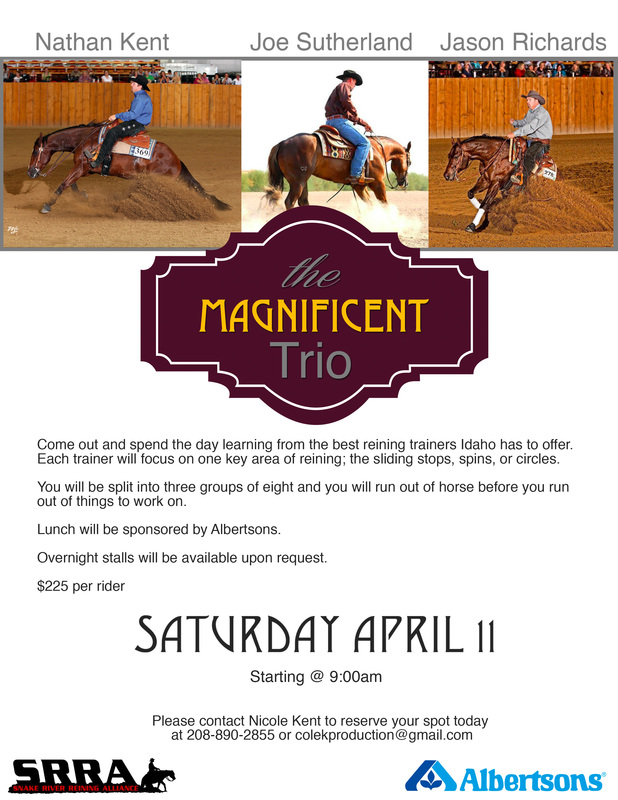 These are low-cost, high-fun clinics that introduce the maneuvers used and the process of showing in reining. Sessions are limited to 20 riders. Riders will be broken into small groups to work with the top professional reiners from the SRRA. Participants will be given an introduction to Circles, Stops, Spins, and How to Show in Reining. Contact Ann McGregor at 208-870-7186 to reserve your spot! Help raise money for SRRA, fine tune your reining skills, learn more about the NRHA judging system & get your horse ridden–what could be better? !